DeMar DeRozan and Jonas Valanciunas borh scored 7 points in the 1st quarter, while Utah's Ricky Rubio dropped 7 points. Generally considered a bad scorer, Rubio torched the Raptors defense as they overlooked his ability to put up points. Jazz' Center Rudy Gobert put up 6 points as his team led the Raptors to end the 1st quarter. Toronto trailed Utah 24-30. JV had a monster second quarter as he scored 10 points and grabbed 6 rebounds. The Raptors played excellent defense, limiting the Jazz to only 15 points. With about 32 seconds left in the half, OG Anunoby had a reverse put back dunk off a missed shot that electrified the crowd. This gave the Raptors the momentum heading into halftime. Toronto led 48-45. Donovan Mitchell dropped 15 points in the 3rd quarter and absolutely torched their defense. Gobert added 7 points as Toronto had no idea how to defend the Jazz. DeRozan and Valanciunas combined for 11 points, but it wasn't enough to gain control of the lead. The Raptors trailed 69-75 going into the final quarter of play. 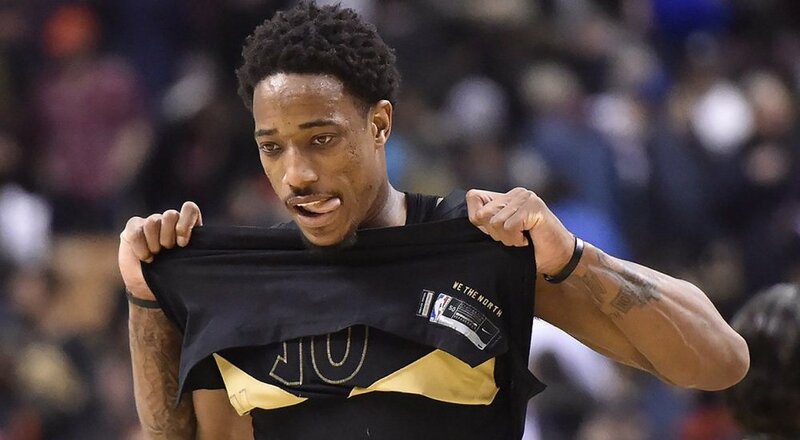 With 5:19 left in the game, Kyle Lowry dished the ball to the cutting DeRozan, who slammed the ball in with a tomahawk dunk. Toronto led by 4 with 2:00 remaining. In the final 10 seconds, Donovan Mitchell found Rubio open from three, and he nailed the clutch shot. DeRozan missed a turnaround jumper that would've tied the game up, and Utah got the rebound. The Raptors were defeated by the Jazz 93-97.